My portable camera comes with some cool special effects I don’t often use … what better time than a vacation to play a little. This effect makes everything look like a miniature scene. 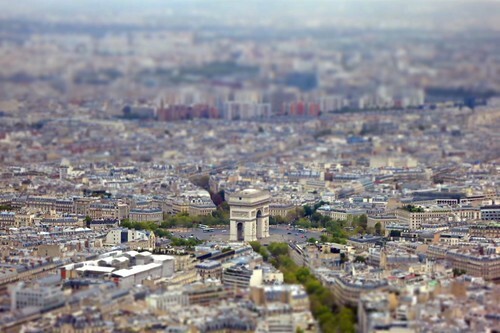 This was shot from the Eiffel Tower, with every element looking even tinier than it already is.